Lock in a great price for The Slate - rated 9.1 by recent guests. Looks good, lots of pools and close to beach. Good cocktails. Black ginger restaurant was great. The breakfast was adequate but the room was outside and very hot with mosquitos. The general ambiance was dark. I asked for some coffee, the waitress responded saying there is the coffee station where I can pour my own coffee, not 5 star hotel service! The whole place is like a magical village. The architecture is amazing and you could photograph every square metre because of it. The rooms are incredibly plush, you must absolutely go to their famous restaurant Black Ginger which again adds to the amazing experience. Hotel, grounds, staff, bars and restaurants are all top notch. DBUK suite was ideal for a family of four.. The breakfast was amazing Staff are excellent with very good English speaking. The design and nature throughout the hotel are just amazing. The pools are excellent and I like that some of them are for adults only. Beach access was convenient and the beach is clean, not too busy and perfect to watch beautiful sunsets from. Spa and restaurants were of excellent quality and the prices were good as well. Rooms are very spacious, clean and also full of little design elements. I really really like the resort not only the facilities but also it’s history is so attractive. Everything in here is awesome. Rivet and Rebar, Swimming pools, SPA and Black Ginger, everything is great. It is contents of industrial style and modern style. And suitable for couple and family, especially for kids. The transport is convenience as well because it is only five mins driving from Phuket international airport. If you walk outside the entrance, you can reach the Nai Yang beach, there are many restaurants and night markets. Truly a 5-star experience, everything was perfect. Breakfast was amazing and Ginger restaurant offers an unforgettable oriental experience. We got an upgrade and had an amazing bath outside. The property is amazing, the staff fabulous we will be back. 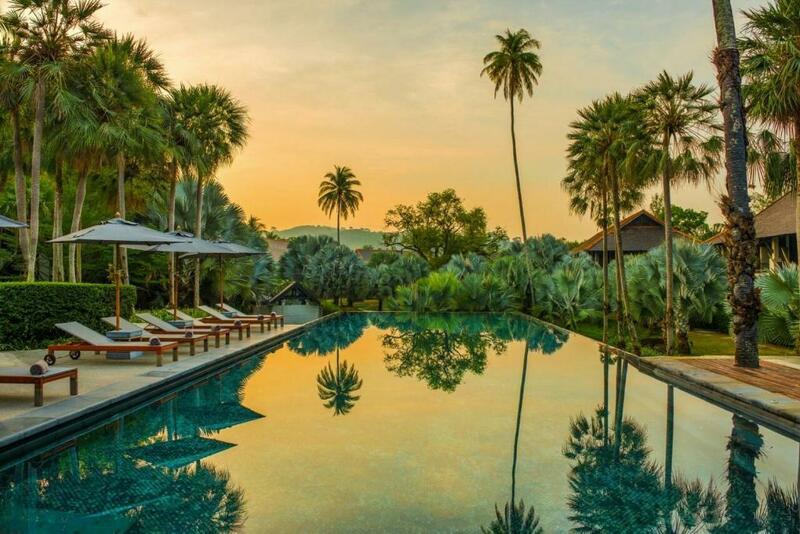 One of our top picks in Nai Yang Beach.The Slate presents industrial chic design set against the beautiful natural backdrop of Nai Yang Beach and Andaman Sea. Offering beachfront rooms, it also has a rainforest spa and 3 outdoor pools, one is open for family while the other 2 pools are for adults only. Uniquely decorated with original art pieces and locally crafted furnishings, the air-conditioned rooms feature rich wood and cool stone accents. A flat-screen TV, free Wi-Fi and bottled water are included in all rooms. 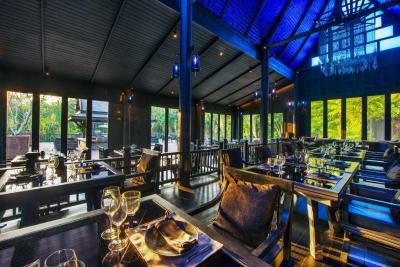 The Slate is just 5 minutes' drive from Phuket International Airport. It is a 10-minute drive from Blue Canyon Golf Course and Mission Hills Golf Club. Coqoon Spa offers ultimate relaxation with body massage and facials in The Nest, a private treatment room suspended mid-air like a bird nest. For a refreshing workout, the fitness centre provides yoga, pilates and Muay Thai classes. 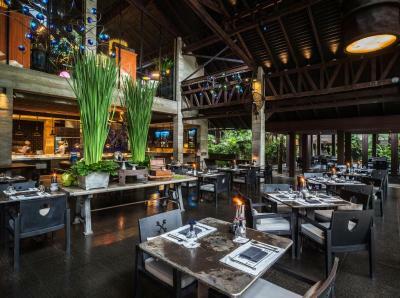 Guests may experience the charm of Thailand with the hotel's Thai cooking classes, language lessons and Weekend Market day trips. There is also a dive centre and kitesurfing centre next to the hotel. Five dining options leave guests spoilt for choice, serving everything from a breakfast buffet to fresh seafood barbecue dinners. Tongkah Tin Syndicate provides a snooker hall and international whiskeys. The Slate has been welcoming Booking.com guests since 1 Jun 2009. When would you like to stay at The Slate? Fitted with an unusual blend of rich colours, intriguing forms and bold design, the D-Buk Suite features an oversized bed and a relaxing charcoal-black bathtub. Guests can relax on the daybed or at a terrace surrounded by tropical atmosphere. Pearl Bed Suite features ample space with smooth marble and polished dark wooden floors covered by handcrafted rugs in scarlet and royal blue tones. Guests can relax at a private balcony while enjoying sweeping views of tropical nature. Surrounded by nature, this two-bedroom villa features a private plunge pool, a sun terrace and a hot tub for guests' relaxation. Designed with warm wood, woven wicker and wrought-iron furnishings, this Pearl Shell Site features 2 bedrooms with panoramic views of lush garden. Guests can relax in a sunken hot tub on a terrace or enjoy a soothing in-room sauna. A private gallery is where guests can admire vibrant works of art. Featuring a private plunge pool and a garden, this Pool Suite is decorated with rich wood and modern furnishing. Surrounded by nature, this one-bedroom villa features a private plunge pool, a sun terrace and a hot tub for guests' relaxation. Decorated with lavish flower arrangements and garden-inspired murals, this Pearl Shell Suite is a place for showcasing stunning arts. 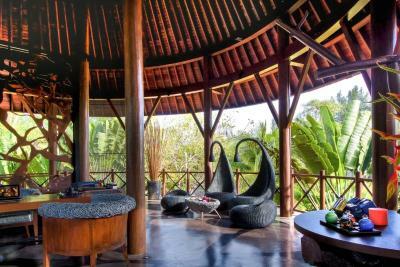 Guests can relax and unwind at a sofa while taking in the sweeping views of the lush rain forest. Soothing spa beds are provided for maximum comfort. House rules The Slate takes special requests - add in the next step! The Slate accepts these cards and reserves the right to temporarily hold an amount prior to arrival. Not a lot to do other than sunbathe and drink alcohol at the various bars/ pool bars. Access to beach but no private area - beach not clean Too much waiting for diner at the tin mine - not enough chef - last day we could not have diner at the restaurant and waitress recommended us to eat in our room to avoid waiting for hours Not enough ventilation on the restaurant ( tin mine )- only 2 big fans on the main area - guess complained about the hot. Great hotel, lovely rooms, exquisite pools in a lovely setting. Beach near the property is lovely and quiet. Not quite on the beachfront. DBUK suites don't have a good outside space. Takes a while to find your way around. Some things were hard to find. I feel like I didn't find everything in the resort. Breakfast was amazing and the location was superb. Staff were very helpful. The private swimming pool can be seen clearly from people setting at the public swimming pool. I paid a lot for my privacy but didn’t enjoy it at all. In addition, the private bath was exposed to people too. Water at the beach was dirty when the tide came in, full of plastic, probably from nearby klong. On site prices VERY high. 2X G&T £18. Step outside the grounds though and everything is a bargain. Unique styling with amazing attention to detail.